DETROIT, Sept. 10, 2018 /PRNewswire/ -- Following an extensive, national search, Henry Ford Health System has selected a new CEO for Henry Ford Hospital in Detroit, MI. Richard "Chip" Davis, Ph.D., is joining Henry Ford from Johns Hopkins Medicine and will begin Nov. 15, 2018. He replaces John Popovich, Jr., M.D., who retired earlier this year. Davis will be responsible for providing strategic leadership and direction over the entire clinical and financial operations of Henry Ford Hospital, as well as leading new clinical, academic and commercial partnerships. Davis will also serve as Senior Vice President and CEO of the health system's south market, which encompasses Wayne and Monroe Counties, as well as eastern Washtenaw County. He will be tasked with driving revenue, growth, and overall market performance by collaborating with clinical and non-clinical leaders across the system. Davis is currently the President and CEO of Sibley Memorial Hospital, a not-for-profit hospital within Johns Hopkins Medicine (JHM), where he led several transformational efforts for both the hospital and organization. He established the hospital's Innovation Hub, the first of its kind healthcare improvement accelerator in a community hospital, and also founded JHM's Center for Innovation, now known as the Armstrong Institute for Patient Safety and Quality. He also created a nationally trademarked hospital-based program for process improvement training, which resulted in the highest annual safety and quality scores within the JHM hospital group and thousands of certifications nationwide. "We are thrilled to welcome Chip into this critical leadership role, both in our southern market and Henry Ford Hospital," said Bob Riney, Henry Ford Health System's President, Healthcare Operations and Chief Operating Officer. "Chip has an exceptional commitment to patient safety and a true passion for innovation. That combination, along with his wealth of experience with and understanding of complex healthcare environments, including both academic and community medical settings, make him a perfect fit for Henry Ford." Davis' career with Johns Hopkins Medicine spans more than 25 years. His previous roles include vice president of Innovation and Patient Safety and executive director for Johns Hopkins Health System's access services, ambulatory operations and operations integration. Davis has also served as a national consultant, advising health systems and community hospitals on operational efficiency and quality improvements, innovation and patient safety programs, medical staff relations and culture change. He was recently chosen by Washington Life Magazine among the "Power 100 - Most Influential People in Washington DC" and has also been recognized by Becker's Hospital Review as one of the "500 People to Know in Healthcare" and "300 US and Health System Leaders to Know." "I couldn't be more excited to join Henry Ford," said Davis. "Not only do I have the unique opportunity to help an organization so dedicated to clinical innovation and improving the health and wellness of the community, I also get the wonderful chance to return home to my native state of Michigan." 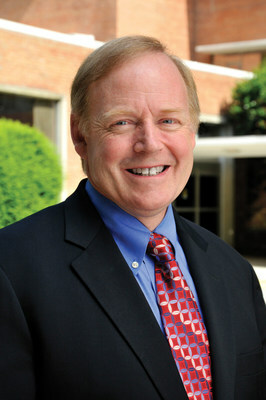 Davis, originally from Ann Arbor, MI, received his Ph.D. in Public Health at Johns Hopkins University in 1993. He also has a Master's degree in Counseling and Consulting Psychology from Harvard University and a Bachelor's degree in Psychology from the University of Michigan. Henry Ford Health System is a six-hospital system headquartered in Detroit, Michigan. It is one of the nation's leading comprehensive, integrated health systems, recognized for clinical excellence and innovation. Henry Ford provides both health insurance and health care delivery, including acute, specialty, primary and preventive care services backed by excellence in research and education. Henry Ford Health System is led by President & CEO Wright Lassiter, III. Visit HenryFord.com to learn more.